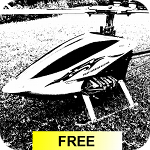 Set up your 3D RC helicopter using this App. The App provides fabulous tools for set up. a perfect helicopter set up. available in the App Store soon.